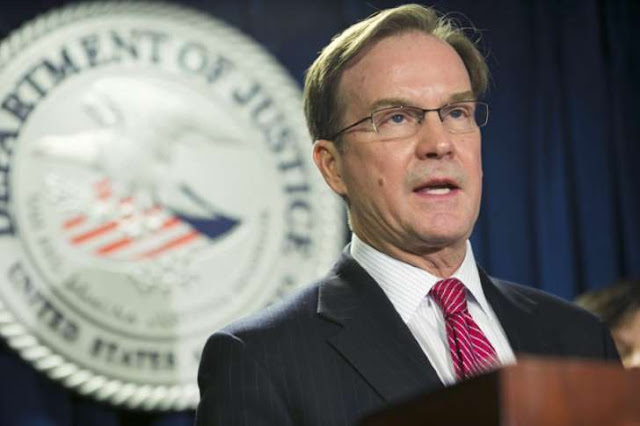 Michigan Attorney General Bill Schuette. (Lance Schuttler) Earlier today, four former government officials were charged with conspiring to violate safety rules in connection to the Flint, Michigan water crisis that has been on-going for several months. 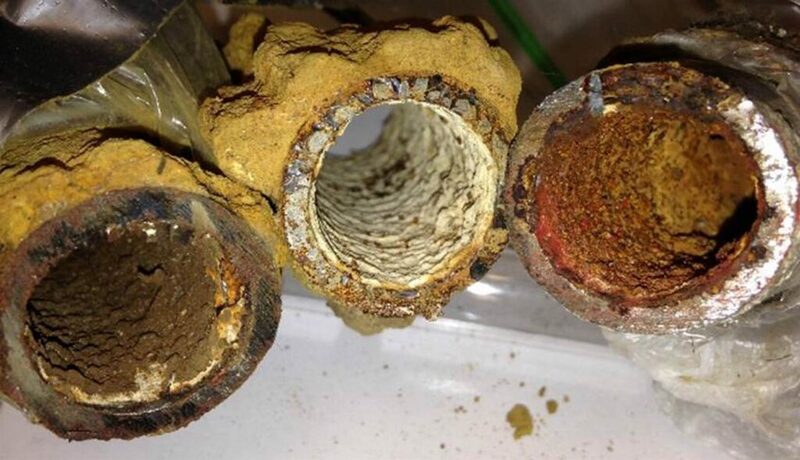 The crisis lead to the discovery of dangerous levels of lead in the water, which residents had to deal with and continue to deal with to this day. Michigan prosecutors charged former emergency managers Darnell Earley and Gerald Ambrose, along with city employees Howard Croft and Daugherty Johnson in the case. When asked if higher level authorities would be charged in the case, Attorney General Bill Schuette maintained that no one would be excluded from that possibility. In other words, it is still possible that Michigan’s governor Rick Snyder could be charged in the case. Many residents of Flint and those impacted by the crisis say that Snyder should be held accountable. The accused face felony charges of false pretenses and conspiracy to commit false pretenses. Each charge can carry prison terms of up to 20 years and/or fines. Though the Flint crisis is settling down somewhat, other areas in the U.S. (and world) are still experiencing the devastating effects of poisoned water. In a report issued yesterday by Reuters, over 3,000 areas in the U.S. tested to have lead poisoning in the water at rates nearly double what was found in Flint during the height of the crisis. Of those 3,000, over 1,100 had lead blood levels at least 4 times higher. In other words, there are at least 3,000 more “Flint, Michigans” out there. With so many other places in the U.S. and world experiencing issues with poisoned water, let us go through a few foods and health supplements that can help clean the body. Fulvic acid is a health supplement gaining massive attention in the health supplement field, thanks in large part to Dr. Dan Nuzum. Fulvic acid is the end product of a process called humification. Microorganisms decompose plant matter in the soil which results in fulvic and humic acids. These are perhaps the most important and nutrient rich substances on the planet. In fact, fulvic acid is the most potent anti-oxidant known as it contains over 14 tetratrillion electrons (that’s 14 with 21 zeroes behind it) that it can donate to neutralize free radicals. This gives it an incredible ability to provide electrochemical balance within the cell, which is crucial for detoxification. It also is rich in electrolytes, increases the synthesis rate of RNA and DNA, increases assimilation of vitamins and minerals into cells. The source of fulvic acid is incredibly important though as Optimally Organic notes that getting their fulvic acid from vegetation rather than dried rock beds is best as the excess carbon found in the fulvic from rock beds makes the fulvic ineffective. Any food that has plenty of chlorophyll in it will help tremendously in detoxing as well as providing essential nutrients our cells need. Ensuring to include plenty of spinach, green salads, arugula, cilantro, parsley, kale, cucumbers and other green veggies into your meals is a great way to begin. Looking more specifically at cilantro, we find that when combined with chlorella, it can remove a very large amount of heavy metals within a short time frame. In fact, studies done at the Optimal Wellness Test Research Center showed that within 42 days of using cilantro and chlorella, 74% of aluminum, 91% of Mercury and 87% of lead within the body was removed. It was noted that using cilantro and chlorella in conjunction was important because cilantro mobilizes many more toxins than it can remove from the body, whereas with chlorella also in the bloodstream, it can act to remove the excess toxins found in the bloodstream. Other foods to consider using are spirulina and medicinal mushrooms like Reishi, Lion’s Mane, Chaga and Agarikon. Chaga mushrooms have been scientifically proven to protect against DNA degradation, remove synthetic chemicals and heavy metals, and purify the blood. While four officials have been charged, and more could still be charged, we must continue to equip ourselves with the knowledge to protect and improve our health. If you live in an area with poor water quality, look into the fulvic acid and foods to help you. Also, if you have friends or family in affected areas, share this information with them. A green algae super high in protein and healthy polyunsaturated fats. Known as the "life-blood" of plant life. Even the ancient egyptians worshipped this food for it's positive health benefits. A good source for plant protein! Spirulina is also high in iron and calcium. The Aztecs first discovered this food in Central America, and they consumed it daily for energy and strength. We all know this herb as a fragrant addition to popular dishes and drinks. The Mint leaf has been used the world over for aiding in the occasional indigestion, cramps, whitening teeth, and as a sleep aid. This spice contains powerful antioxidants. Contains all the essential amino acids needed by the body. Amino acids are the building blocks of proteins which are needed to grow, repair and maintain cells. Ashwagandha is an adaptogen which is made of (a combination of amino acids, vitamins, and herbs) that modulate your response to stress or a changing environment. Adaptogens help the body cope with external stresses such as toxins in the environment and internal stresses. You may not know this, but this citrus fruit has incredible appetite fighting effects, and has been known to cool and alkalize the body. This is crucial for stabilizing your blood-sugar already within normal ranges. This natural refreshment is high in potassium and assists in the transport of all of the above ingredients throughout the blood stream. Lance Schuttler graduated from the University of Iowa with a degree in Health Science and is Director of Creative Health Non-Profits for Personable Media. He is passionate about holistic and naturopathic medicine as well as helping to bring awareness to an efficient, sustainable and health-promoting transition that our world’s current socio-economic model is rapidly undergoing.